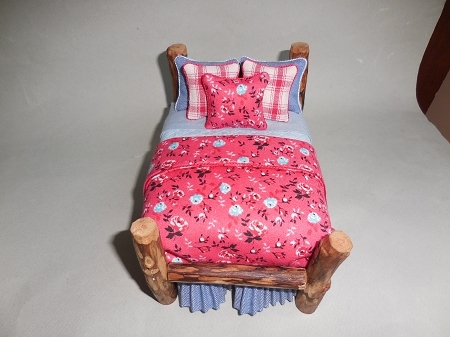 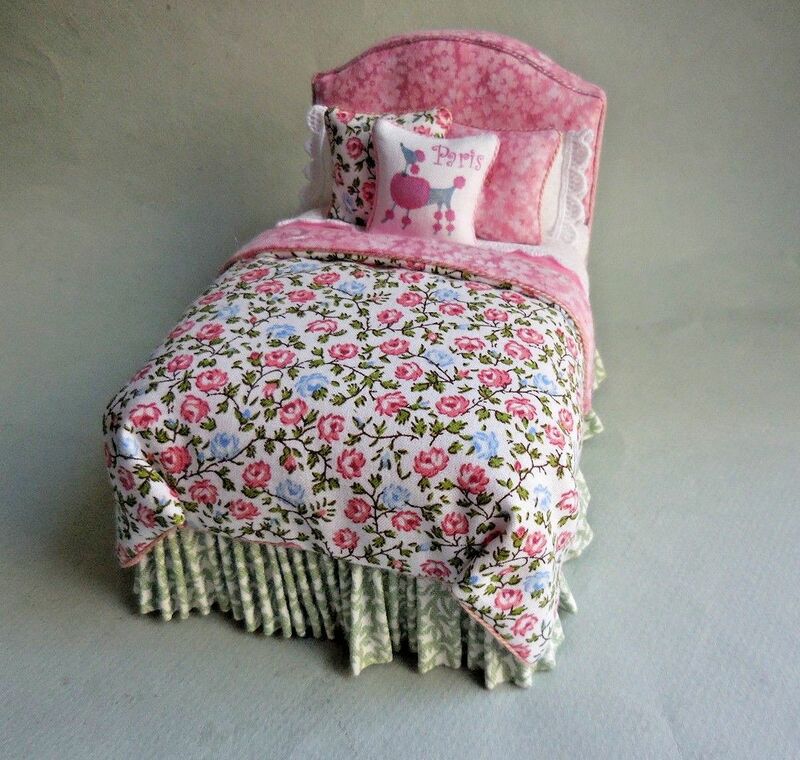 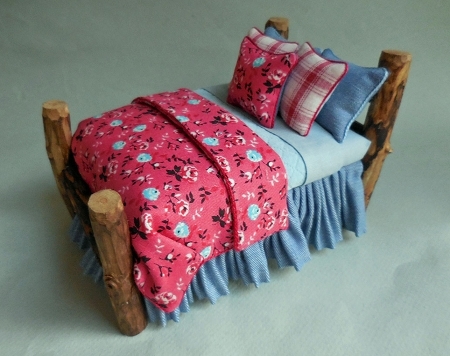 Handmade Adirondack Log Bed dressed with a denim dust ruffle. 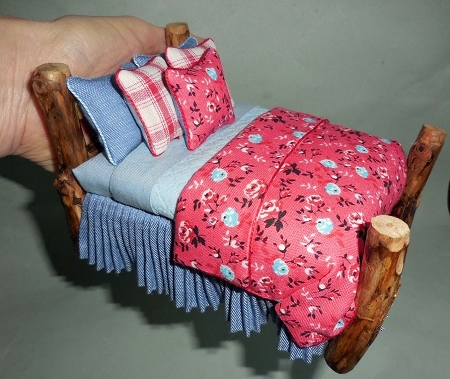 This bed is a little more feminine than my other log beds. 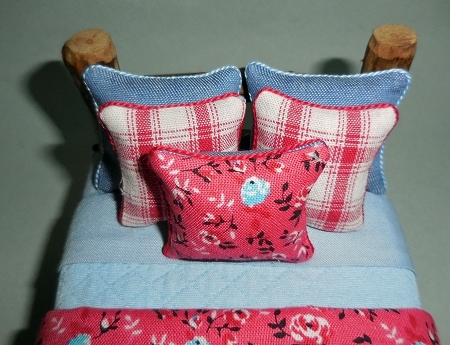 A red quilt with blue flowers, blue sheets, and a blue quilted blanket.